Located just south of Davis and west of Collier, Naples Heritage Golf and Country Club is a private gated community dedicated to nature. With only 799 homes on 550 acres and with more than 350 acres devoted to preserves, Naples Heritage is truly a tropical paradise. Here you will find a wide variety of birds, abundant wild life and rare protected species, all preserved for future generations. Homes range from four-story condominiums to verandas, villas and single-family homes, all with spectacular views of the course, lakes and nature preserves. The single family homes range from 1,529 to 3,338 square feet with two bedrooms plus a den to four bedrooms and a two or three car garage. The villas range from 1,529 to 2,195 square feet with two bedrooms to three bedrooms with a two car garage. The verandas range from 1,333 to 1,664 square feet with two to three bedrooms and a one car detached garage. The condos range from 1,194 to 1,408 square feet with two to two bedrooms pus a den and a one car carport. The newly remodeled 15,000 square foot clubhouse features a large restaurant for casual and fine dining, a grill room and bar for after a round of golf or a set or two of tennis and an outside snack shop for golfers making the turn. 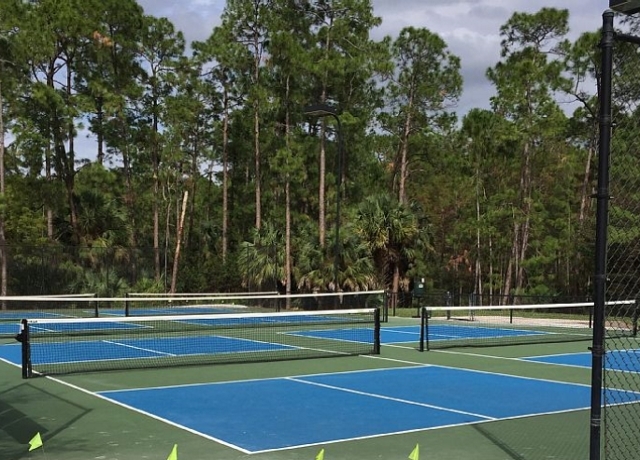 Amenities include a screened in patio, locker rooms, a pro shop, four heated pools, lighted tennis courts, Bocce Ball, 6 Pickle Ball courts, a fitness center, sauna and an active social calendar. At the heart of the community is the 6,603 yard 18 hole par 72 championship course designed by Gordon Lewis. 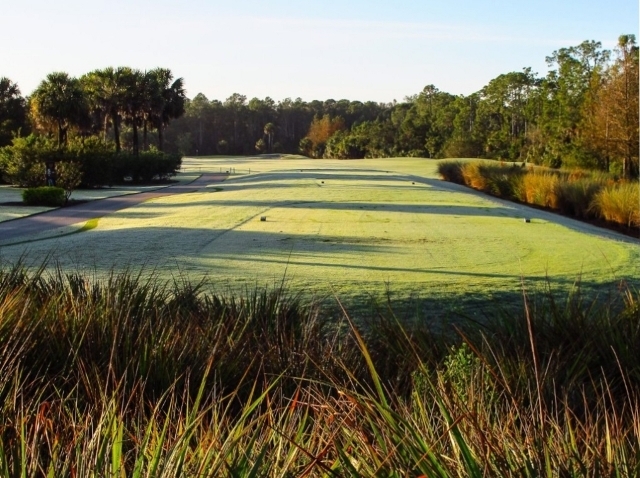 Meandering through the towering pines and cypress preserves, and bordered by numerous pristine lakes, this course features wide fairways, well placed bunkers and superb greens. Five sets of tees make it a challenge to the low handicapper and a truly enjoyable experience to those of all skill levels. There is even a driving range, chipping area and practice green to tune up your game. If you are looking for a home in a bundled golf community, Naples Heritage could be just the place!